Two fireworks teams from the Philippines and Korea raised the curtain on the 29th Macao International Fireworks Display Contest inaugurated tonight (1st September) with fantastic performances under the theme “Magical Colours in Harmony”. 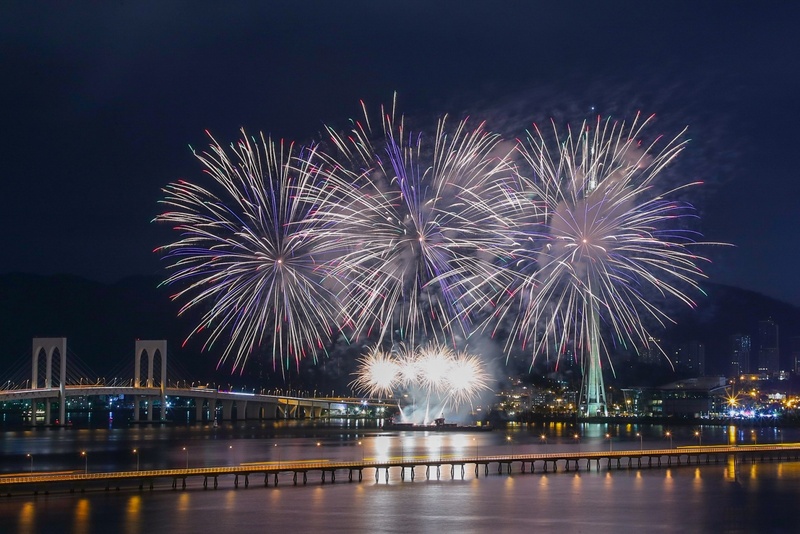 Co-organized by the Macao Government Tourism Office (MGTO) and the General Union of Neighbors Association of Macau, the Fireworks Carnival 2018 is also enlivening every fireworks night. Director of Macao Government Tourism Office (MGTO), Maria Helena de Senna Fernandes and other guests officiated the opening ceremony of the Carnival this evening. The 29th Macao International Fireworks Display Contest (“the Contest”) is dazzling the skyline above the sea area overlooked by the Macau Tower on 1st September (Philippines and Korea), 8th September (Japan and Belgium), 15th September (France and Portugal) and 24th September (Germany and Austria) and 1st October (Italy and China), pitting the ten contestants against each other. The first and second fireworks displays start at 9 p.m. and 9:40 p.m. respectively every scheduled evening, each lasting about 18 minutes. All five fireworks evenings are choreographed to bring out special themes, from “Magical Colours in Harmony”, “A Mystified Fireworks Dream”, “Shining Voices of Heaven”, “A Sparkling Mid-Autumn Night” to “National Day Fireworks Celebration”. In addition, every fireworks display is synchronized to both music and laser lights in a way that not only highlights its theme but also enhances the effect and gradation of its pyrotechnic extravaganza. The fireworks displays are live broadcast on TDM – Macao TV Channel with synchronized music on TDM - Radio Macao's Chinese Channel (FM100.7) every scheduled evening. All ten contestants boast profound experience in crafting mega multimedia fireworks shows. 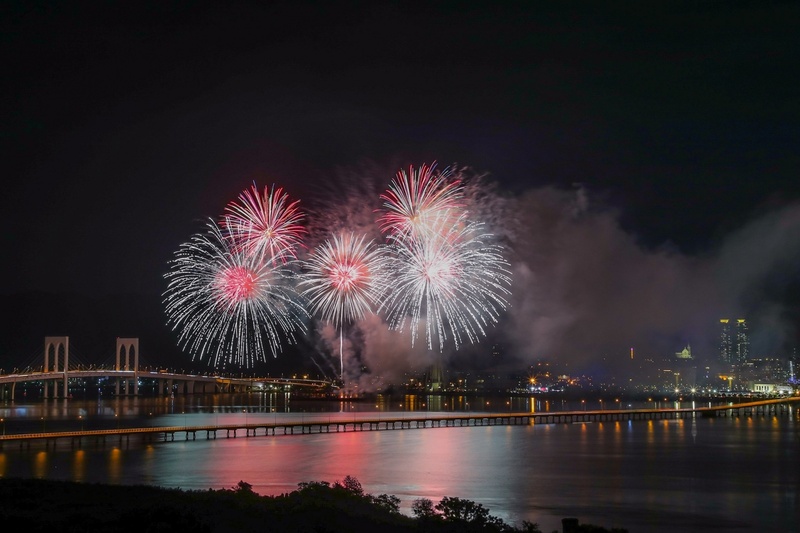 Some of their portfolios include fireworks displays tailored for major national celebrations in different countries and a range of accolades garnered from international fireworks contests across the world. The strong lineup of the Contest promises wondrous spectaculars for residents and visitors this year. 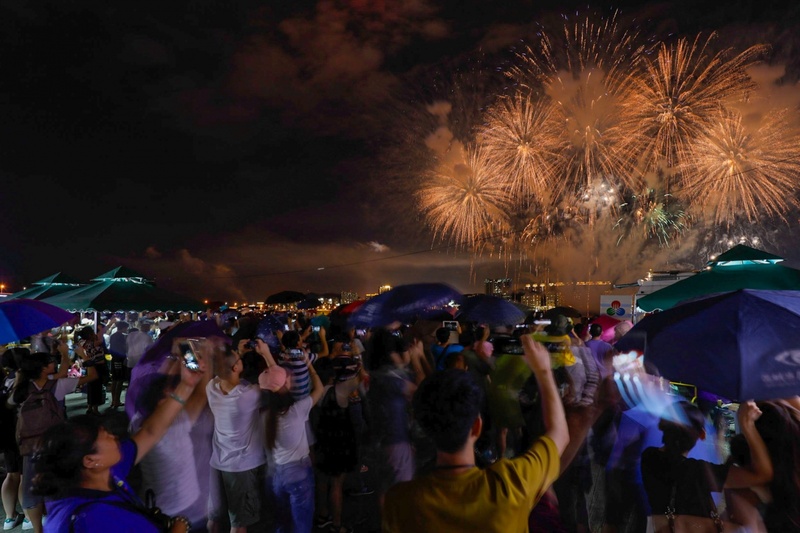 Among all, the fireworks companies from Korea, Belgium, France and China are making their debut in Macao, while the companies from Italy, Japan and the Philippines have won accolades in the past editions of the Contest in Macao. Coming from the Philippines, Platinum Fireworks, Inc. harvested outstanding results from various international contests in Australia, Canada, the Philippines and other parts of the world, besides ranking third in the Macao Contest in 2009 and 2010. In 2016, the company produced the largest fireworks display in the Philippines confirmed by the Guinness World Records. The Korean company Faseecom presented fireworks in the 2018 Winter Olympic Games held in Pyeongchang. It has also been in charge of fireworks productions for the Seoul International Fireworks Festival for 18 years. First winner of the Macao Contest in 1993 and 2016, Marutamaya Ogatsu Fireworks Co., Ltd. dazzles in a range of major fireworks festivals in Japan annually. An outstanding fireworks company from Belgium, HC Pyrotechnics has secured the championships in fireworks competitions in France, Croatia, Poland, Germany and Monaco successively since 2015. Winner of past competitions in France and Czech Republic, the French company Alpha Pyrotechnie produced fireworks for the evening show in Futuroscope Theme Park (operated by Cirque du Soleil, the famous entertainment company) in France in 2017. Coming from Portugal, Grupo Luso Pirotecnia won the first place in fireworks contests held in Canada, Czech Republic, the United States, France and Germany before. The company also presented the fireworks show for the FIFA U-20 World Cup in Colombia in 2011. Starting from 2012, the German company Potsdamer Feuerwerk GmbH has been presenting fireworks performances annually for Hamburg’s Port Anniversary, which is regarded as the largest of port celebrations in the world. The annual grand celebration fascinates thousands of spectators every year. Top winner of various fireworks contests in Russia, Germany and Poland in the past, FIREevent - Die Feuerwerker is the Austrian company to present fireworks performances on Luxemburg National Day every year. First winner of fireworks festivals in Malta, Oman, Croatia and Hong Kong before, the Italian company PANZERA S.A.S. has produced pyrotechnic performances in major celebrations in France and Canada as well. Liuyang New Year Fireworks Trading Co., Ltd. has garnered outstanding results from fireworks competitions held in Mainland China, Japan, Russia and the Philippines. The company also presented fireworks displays for the 70th anniversary of Israel's declaration of independence and during the series of meetings of the Asia-Pacific Economic Cooperation (APEC) in Beijing. As in the past, the Office and the General Union of Neighbors Association of Macau are jointly presenting the Fireworks Carnival next to the Macau Tower this year. The Carnival is a confluence of delicacies, performances and games to enrich the event with a diversity of fantastic experiences. 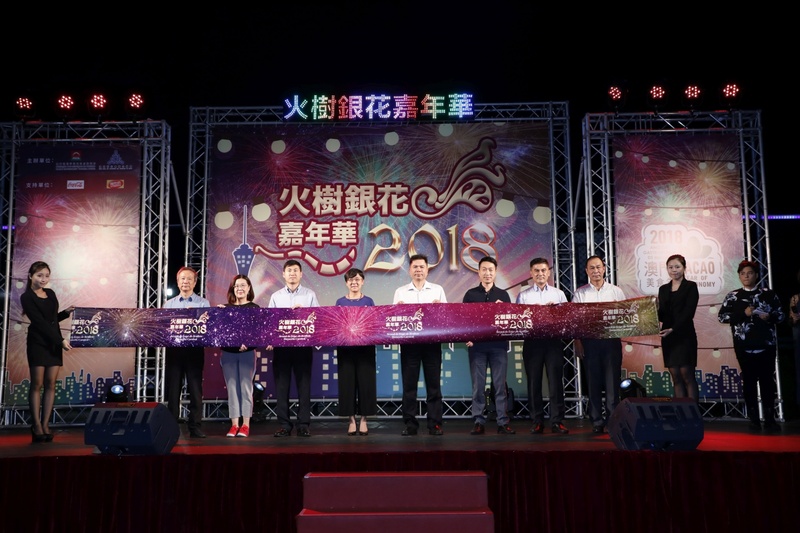 The opening ceremony of the Carnival was held tonight (1st September), officiated by Deputy Secretary General of the Liaison Office of the Central People's Government in the Macao Special Administrative Region and Head of the Department of Social Affairs of the Liaison Office, Huang Huagai, MGTO Director Maria Helena de Senna Fernandes, Vice Chairman of the General Union of Neighbors Association of Macau, Ip Chi Wo, Vice President of the General Union of Neighbors Association of Macau and Director of Event Organizing Committee of the General Union, Lei Cheok Kuan, together with other guests. 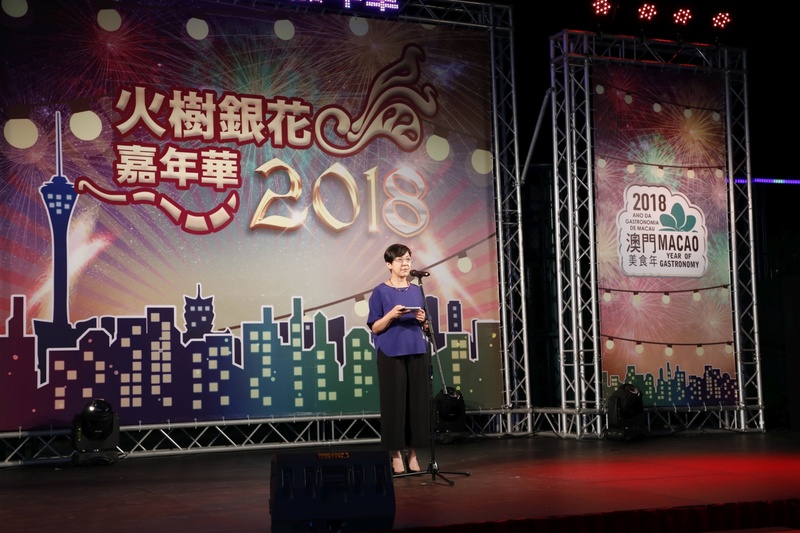 In speaking at the opening ceremony, MGTO Director Senna Fernandes expressed her gratitude to residents and all the entities involved for their continuous support to the Contest and its success in building Macao’s reputation near and afar. As the 30th edition of the Contest is imminent, MGTO looks forward to joining hands with all the trustworthy partner entities on the road ahead, to create many more innovative experiences and wonderful memories for locals and travelers. To further spotlight Macao’s new brand as a Creative City of Gastronomy and the Macao Year of Gastronomy, the Fireworks Carnival features traditional food handicraft performances including on-site preparation of dragon beard candy and the “Dragon Beard Candy Handicraft Workshop” for kids and parents on the first three nights (1st, 8th and 15th September, 7:30 p.m. – 9:30 p.m.), which are expected to win much popularity among locals and visitors. 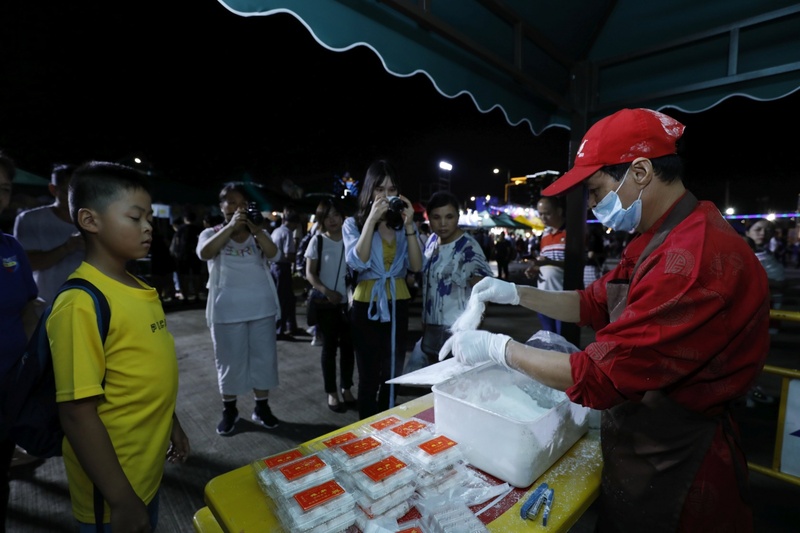 In addition, there are food stalls presenting a palette of savory culinary delights and drinks, from beef tripe, fish balls, Taiwanese salty crispy chicken, salty deep-fried calamari, Japanese roll cakes to coconut water slushies and more, in the Carnival every fireworks evening. Sponsored by Wynn Resorts (Macau) S.A., four outreach programs are rolled out in tandem with the Macao International Fireworks Display Contest this year, including the Photo Contest, Student Drawing Contest and Trophy Design Contest, as well as the Songwriting Contest newly launched to welcome the 30th edition of the Contest. MGTO is continuously dedicated to delivering a stronger synergy through collaboration with other governmental entities, industry partners and local organizations such that more residents and visitors are motivated to participate in local events with greater enjoyment. 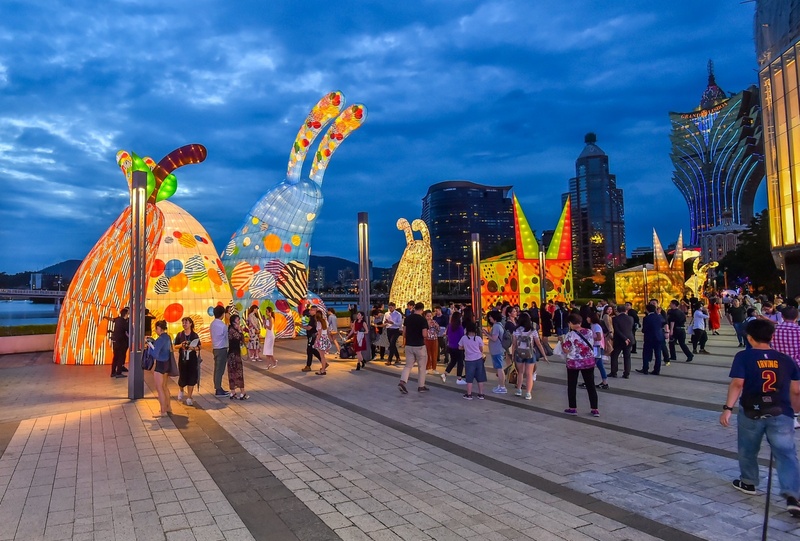 To enrich the programs of mega events, the Office continues to partner with local enterprises this year to roll out the 3rd Macau International Lantern Festival, which displays a collection of art pieces along the Waterfront Promenade of One Central Macau and Wynn Macau starting from 1st September. The art pieces include ten monumental and illuminative lantern sculptures of contemporary art themed as “Love is in the Air” and an impressive interactive art installation featuring fluttering butterflies and beautiful flowers under the theme “Wynn Butterfly Story”. On another point of the city, a mid-autumn installation of lanterns with rotating scenes, projection lights with interesting patterns and illuminating styling chairs is brightening the Anim’Arte NAM VAN under the theme “Tour & Play The Lantern”. The Festival is held concurrently during the Macao International Fireworks Display Contest, the Mid-Autumn Festival and the 1st October Golden Week, enabling residents and visitors to soak in a cultural and artistic ambience for a leisurely experience. For more information about the Macao International Fireworks Display Contest and its outreach programs, please visit http://fireworks.macaotourism.gov.mo.